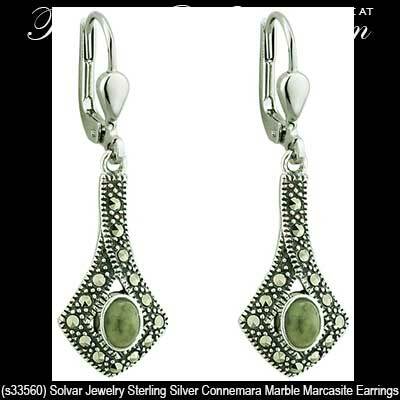 These sterling silver Connemara marble earrings feature a dome of Ireland's green gem stone in the centers that are surround with marcasite stones that are studded throughout the balance. 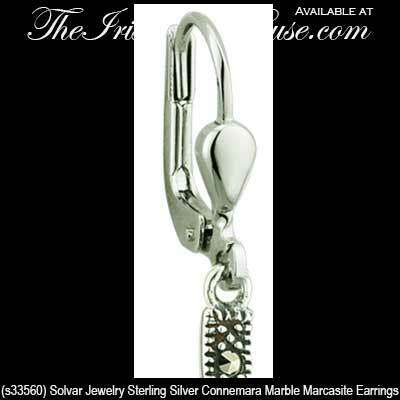 The Connemara marble drop earrings on latching Eurowires measure 3/8" wide x 1 1/4” tall. 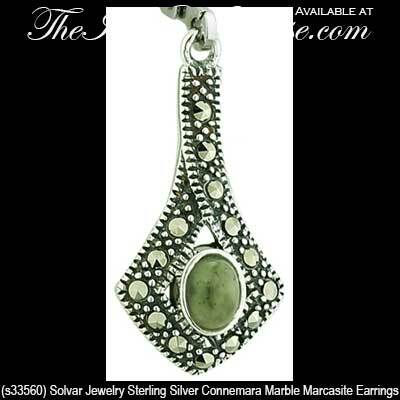 Sterling silver Connemara marble necklace is enhanced with marcasite stones.